Running teams for children with autism, coached by college student-athletes. 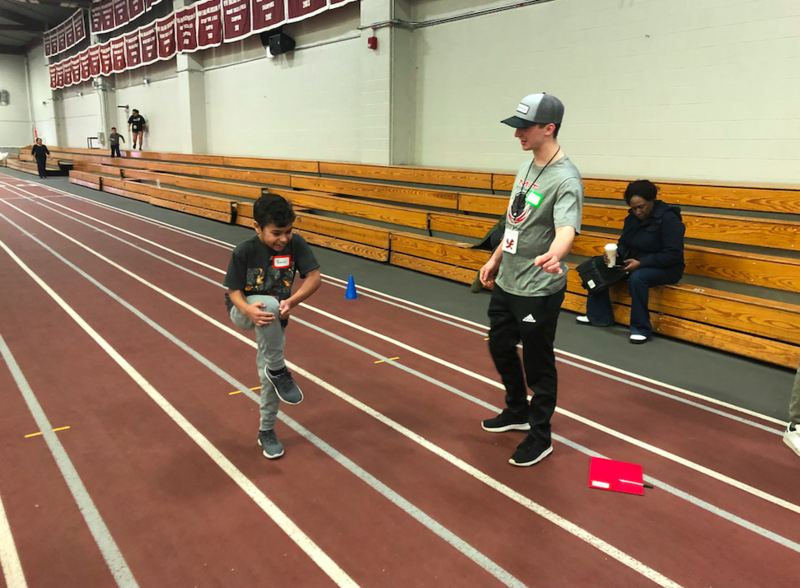 Step Ahead is a national network of college student-athlete directed running teams for kids ages 6-13 on the autism spectrum, as well as their neurotypical siblings. Our programs strive to increase the self confidence and skill levels of the young runners by providing a positive, supportive environment. We emphasize social opportunities for both parents and children to make valuable connections in a welcoming community space. How does Step Ahead Work? In order to make joining the Step Ahead family an option for all families, we ensure that the program is zero-cost for any who want to participate. Parents of athletes are given a weekly space to network, make friends, and connect on a higher level with fellow community members. Varsity student-athletes are leaders on and off the field. Every campus chapter is founded and directed by college student-athlete volunteers. Setting a new personal record, completing a lap, or finishing a race are exciting events that help children improve their self-confidence. Our main goals are for athletes to have fun and do their best! Dedicated to serving families nationwide. Support our coaches & athletes today. Thank you to our major donors, sponsors, and foundations that support Step Ahead’s mission. StepAheadRunning is a 501(c)(3) fiscally sponsored non-profit organization based in San Francisco, CA.